Aside from the lucky (unlucky?) few who get accommodation in a hall of residence and the even luckier few who have private accommodations near their universities, most students will end up with rented accommodations. This is not to say that rented accommodations are terrible or will put a lid on your university fun or will force you to trek miles just to get to a bus – although who knows, if you wait too long maybe they will. As long as you know what you want and get started immediately, finding a suitable rented accommodation shouldn’t be an impossible task. In fact, as long as you know what to look for in a rented accommodation you should be able to find something to fit your criteria. Bedsits and studio apartments – literally one room accommodations, with private or shared bathroom facilities, and small (if any) kitchens. Perfect for students who don’t want to pay much rent, don’t need much space and have no desire to cook or entertain. Flats and apartments – usually offering up to two bedrooms as well as a sitting room, private bathroom facilities and a small kitchen. Perfect for students who have a single flatmate in mind, can afford a slightly higher rate of rent, and would like to be able to cook at home and entertain. Houses – up to as many as five bedrooms with multiple bathrooms, several communal living areas, a kitchen and often a dining room. Perfect for students who don’t mind sharing with several others, who hope to keep rent down by splitting it multiple ways, who don’t mind chipping in on a little home maintenance or repair, and who like to be able to entertain in bigger groups. If you can reasonably afford the rent. 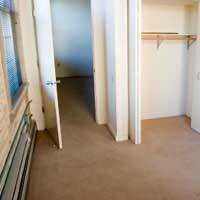 If the location of the accommodation will allow you to commute to the university easily? If commuting by car, how are the roads and does it come with a parking space? If commuting by public transport, which routes is it on and how long will it take you/what is the transport schedule? If the accommodation is reasonably and comfortably close to shops, laundrettes and other facilities? Does the accommodation appear clean and well maintained? Does the accommodation appear to meet all health and safety codes? Who is in charge of repairs for the accommodation, the landlord or an agency? Does the accommodation seem secure, with locks on all doors and windows and a safety alarm? If the accommodation is furnished or if you will need to spend more money bringing in furniture and accessories. If the accommodation is wired for cable television, Internet and telephone services. What the landlord/lease states about entertaining and hosting others. Your overall impression, because your gut instinct counts for something too. What to look for in a rented accommodation will depend upon your personal requirements about space and privacy, but any accommodation you consider should be accessible for commuting to university and shops, it should be clean and meet all health and safety codes, and it should be secure. When you view an accommodation that you think might fit your needs, make sure that every potential flatmate gets a chance to view it and everyone agrees before anyone puts down a deposit. If it turns out to be just what you are all looking for, then go ahead and sign on the dotted line. If it turns out to be abominable, keep looking until you find something you like. Never hurry into a bad rental or you’ll spend the entire year fighting headaches, and those should really only come from the books and the beer!